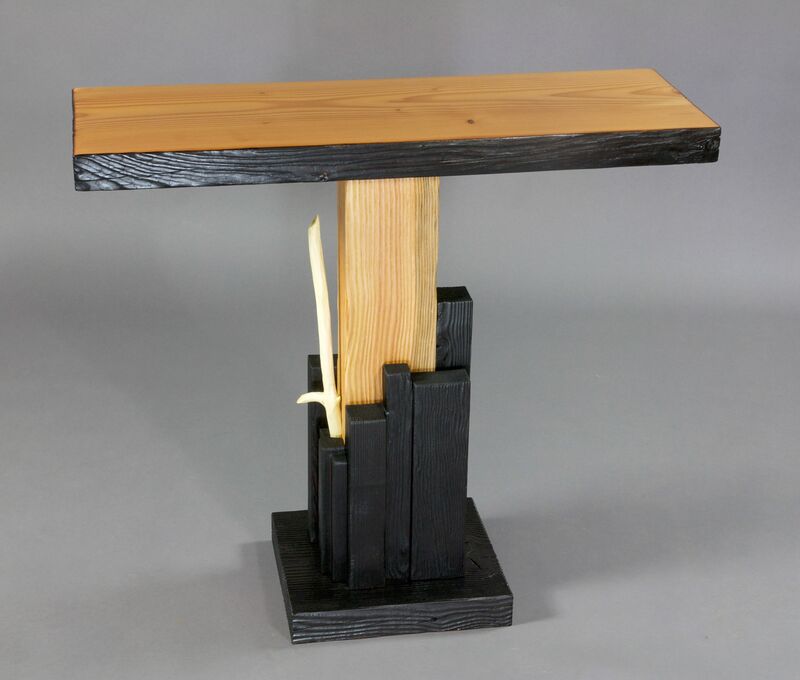 This is part of a series of furniture pieces I have been exploring for the last couple of years, using the ancient Japanese charred wood, Shou Sugi Ban. It was traditionally used as exterior siding because of its amazing ability to withstand water and rot. I have been adapting this to interior furniture designs. It has taken some experimentation and refinement as you can see but has turned out to be a wonderful discovery of beautiful results. 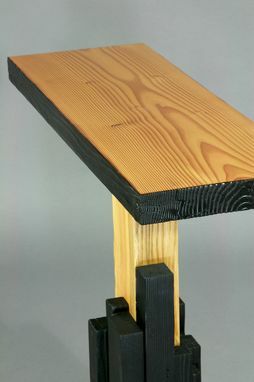 This piece is reclaimed vertical grain fir with a maple branch from my own forest. Stylistically it is another example of my "Slab Series" representing my interest in the columnar basalt of the Columbia Gorge and many places elsewhere in the world, including Japan.